The Colorado River is over allocated. February 6, 2019—The Colorado River has been over allotted from the beginning, as the Law of the River, a compact made in 1922 between the 7 Colorado River Basin states for the river usage, was made during a time of high precipitation. Today the population of states along the river has increased and the river has decreased due to over use and climate change. Since the development of the compact, California has been using the surplus water that other states haven’t used in the lower basin states that include Arizona and Nevada. 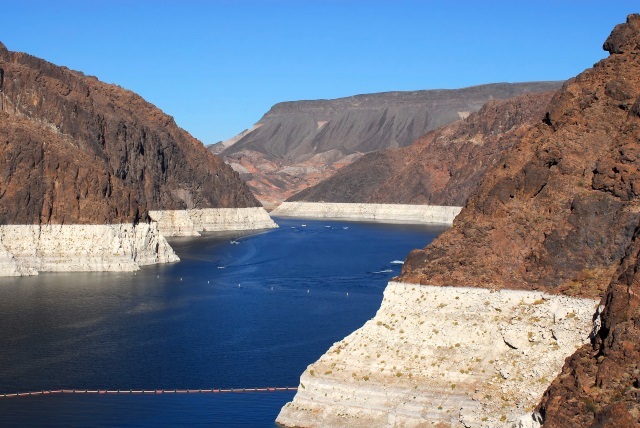 With population growth both Arizona and Nevada are claiming their water allotments and the Upper Basin states have accused CAP, Central Arizona Project, of manipulating its share of water to keep Lake Mead low enough that the upper basin is required to send extra water, but high enough to avoid mandatory cutbacks in lower basin consumption. The lower basin states and Mexico depend, at least partially, on the water they get from Lake Mead and if the situation called “dead pool” develops, the level of the lake’s surface would fall below the gates of the dam that release the water. In this situation the lower basin states and Mexico would not receive water. To avoid this situation cutbacks are required. In the book “Dead Pool” by James Lawrence Powell, Powell states, “At present, Lake Powell is less than half full. Bathtub rings ten stories tall encircle its blue water; boat ramps and marinas lie stranded and useless. To refill it would require surplus water-but there is no surplus water: burgeoning populations and thirsty crops consume every drop of the Colorado River. Add to this picture the looming effects of global warming and drought, and the scenario becomes bleaker still.” This book was written in 2011. Today Lake Mead stands at 1079 ft, four ft away from the mandatory federal shortage declaration that would mandate cutbacks. In an attempt to resolve the issue the Federal Government put a deadline on lower basin states to resolve the issues over water rights. 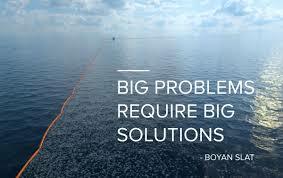 The past several weeks have shown an attempt towards resolution. The U.S. Bureau of Reclamation expects an agreement on the drought plan by the end of January, 2019. The drought plan requires Arizona to find a way to reduce its use of Colorado River water by up to 700,000 acre-feet — more than twice Nevada’s yearly allocation under the drought plan. An acre-foot is the volume of water needed to cover one acre of surface to a depth of one foot. Arizona, the only state that required legislation to take less water from the river, was forced this month to either pass legislation by the end of January 2019 or let the federal government impose water restrictions, which could have meant less water than if state imposed. In Arizona the recent legislation resulted in negotiations between major water users, who agreed to reduce their water usage in exchange for cash or access to groundwater in the future. 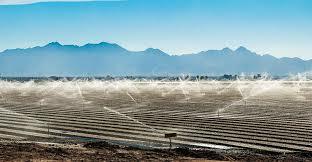 Farmers in Pinal County, Az, who have the lowest priority to water rights, will receive restitution which includes $9 million to drill wells and build infrastructure to change from dependency on river water to groundwater. The farmers, who reluctantly supported the agreement, said it would require them to fallow as much as 40 percent of the county’s farmland. Categories: Building Green, Climate Change, colorado river | Tags: #climatechange, #renewableenergy, Climate change, colorado river, Global Warming | Permalink.